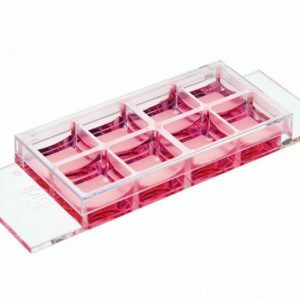 * Special glass DIC Lids are available separately and open µ-Slides are available separately. 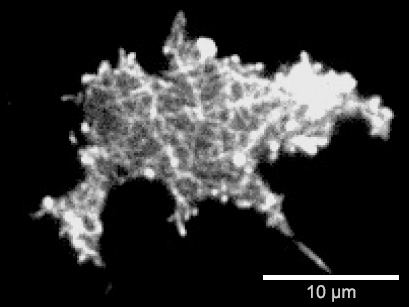 Phase contrast microscopy is the most commonly used, transmitted light technique in cell culture. When working with phase contrast microscopy, it is crucial to have the two phase rings adjusted to each other. 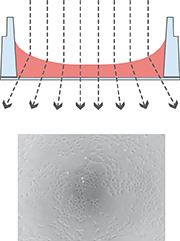 In open wells, the meniscus at the air-water-interphase works like a lens that refracts the beam path. This miscalibrates the phase rings, leading to poor contrast in the microscopic image. 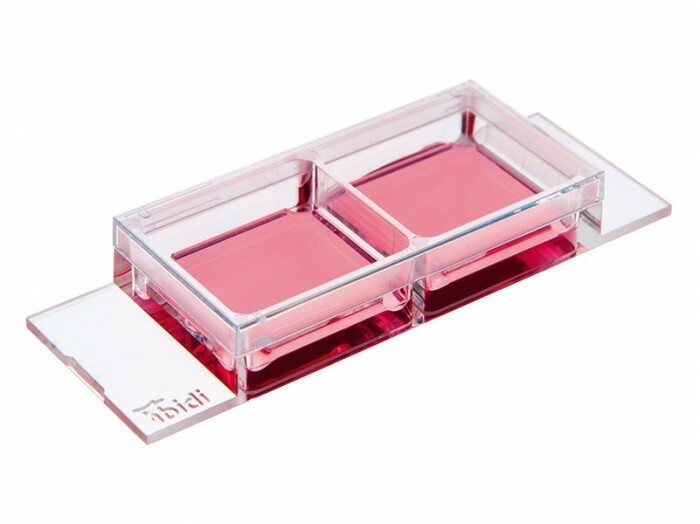 Working with the µ-Slide 2 Well Ph+ diminishes the meniscus, so that the whole optical system is aligned, no matter which position of the well is being imaged. 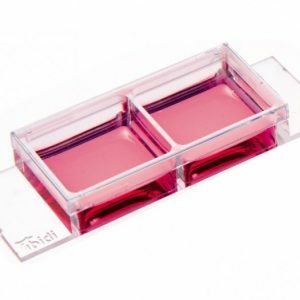 The µ-Slide 2 Well Ph+ Blass Bottom (Phase Contrast +) is designed for excellent optical quality, especially for cell culture when normal phase contrast microscopy is being used. 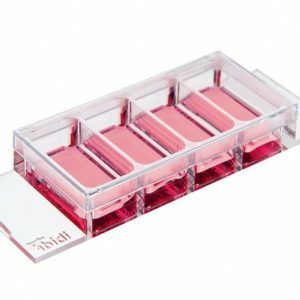 Opposed to the classic µ-Slide 2 Well Glass Bottom, the Ph+ version provides a special intermediate plate in the center of the well. This plate flattens the meniscus that disturbs the phase contrast effect in normal open wells. Openings near the corners provide access to the wells for easy filling and aspiration of liquids. This innovative technique supports meniscus-free phase contrast microscopy in a very convenient manner. The illustration on the left shows the perturbing effect of a meniscus. Light is refracted on the air-water-interface, leading to poor contrast in microscopy. Only the small center part exhibits satisfying phase contrast. 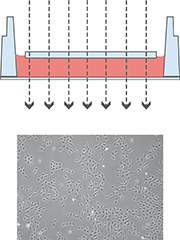 Working with the µ-Slide 2 Well Ph+ Glass Bottom diminishes the meniscus and increases the area of well contrasted cells. The good contrast is due to the parallel beam path that is created by the plate.